For those investing with lease options, the sandwich lease option is one of the most powerful property investment strategies out there. No mortgage required, no deposit needed... what's not to love?! OK, the sandwich option is where you take an option to buy a seller's property and then grant someone else -- usually called a "tenant-buyer" -- an option to buy it. 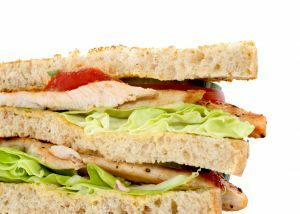 A sandwich lease option is often used when the property has little or no equity or in cases of negative equity. Here is an example of an actual deal that we did that will hopefully illustrate the mechanics of this type of transaction and also the motivations of the people involved. We were approached by a seller who had been on the market for around a year with no success. The property was a nice traditional 3 bedroom semi detached villa. The seller's motivation was that she wanted to emigrate to Australia to be with family. You can imagine she was getting impatient after a year waiting for the property to sell! The house had a valuation of £150,000. We purchased an option to buy the property within 3 years (extendable to 5) for £125,000. The option cost us £1. We agreed to "babysit" her mortgage and secured loan payments so that she could get off to Oz with a big smile on her face. We marketed the property and found a buyer in just under 3 months (this was over Christmas so took a bit longer than it might have). The buyer was a local business man who had not been trading long enough to get a mortgage. He and his family were delighted to move into a home that will one day be theirs. Backend profit of £23,500... £165,000 sale price less £125,000 purchase price less a total of £16,000 monthly instalments. Due to the Scottish Law Society being rather more "cautious" than their English counterpart, the property option landscape is a bit different north of the border. Due to their concerns that investors may later decide not to take up an option to purchase, leaving sellers in the lurch, in 2011, the Scottish Law Society ruled that solicitors should not use lease options. We solved this problem by using an instalment contract, or "delayed completion". This has pretty much the same benefits of a lease option but removes any uncertainty for the buyer and / or seller. For more on options and other "no money down" strategies, download my free eBook.